The Vogue Round table had top damaged and was repaired. Like new. 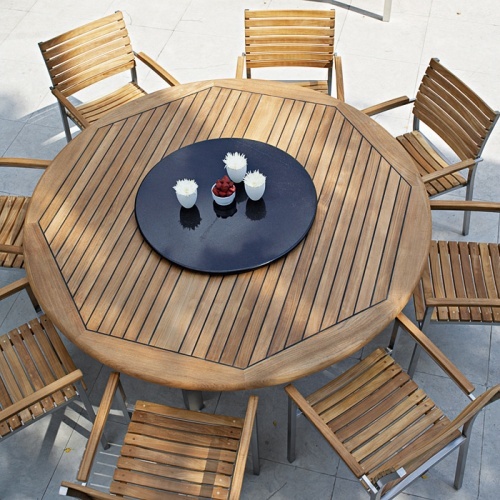 This round teak outdoor table makes seating arrangements elegant yet easy and fun; no one needs to be at the head of the table! 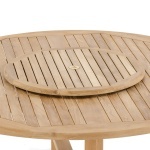 The 6 ft tabletop is lined with Sikaflex® between slats giving it the practicality and grandeur of nautical style. 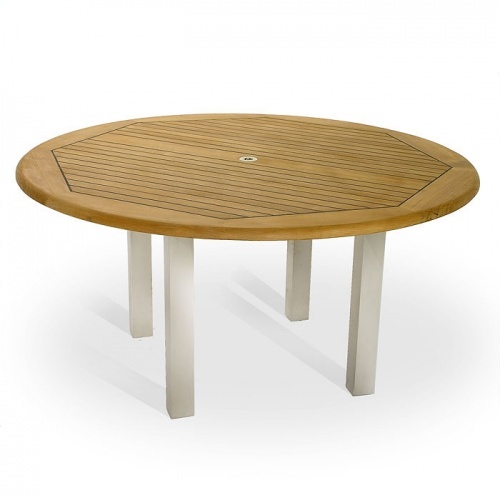 Whether it‘s dinner under the stars, a quiet breakfast overlooking the garden or cocktails by candlelight, this stainless steel and teak outdoor table will transform your space into one of high-style luxury outdoor dining. 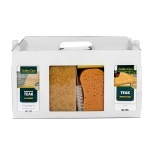 Consider adding a teak Lazy Susan for all around access. 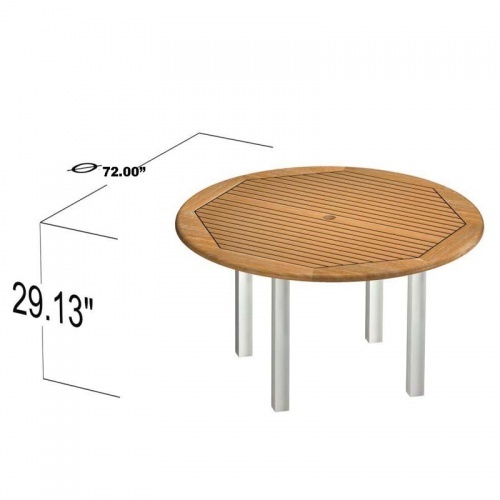 The table which can comfortably accomodate up to 8 armchairs or 10 armless is also designed to fit a 2 inch diameter teak umbrella pole. 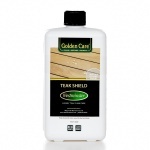 Plastic glides on feet of table allows use on any surface, indoors or out. 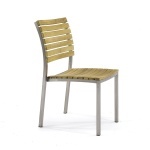 Built with the impeccable strength of high- grade stainless steel frame and complemented with all premium eco-friendly grade A teak, the simplicity and style of this collection provides both versatility and durability for the outdoors.